To most, these look like blue chairs, contrasting on a charcoal vintage vinyl floor cover. To ALBB, these chairs are upgrades from the first round of Robbins egg blue folding chairs we spray painted in the back yard nearly two years ago when we first took this space at 291 Main Street in the Telephone Building. Since then, we dabbled in office rental for different types of events (business conferences, workshops, group client meetings, photo shoots, pop-up shops), and were able to open the space for different community events. After reflecting on what we want more of during this time of transition in the building (the building is for sale, and it’s listed in A Little Beacon Blog’s Real Estate Guide), it’s clear that A Little Beacon Space is here to stay (well, until we learn what future new owners want, and we totally respect their wishes). Right now, we are cozy in 291 and are taking new bookings within two months at a time. We’re upgrading pieces in The Space, starting with these blue chairs! Professionally painted by machines 😂 With a smooth glossy finish that my spray painting skills could not reproduce. A new, round conference room table is next to be in addition to the long rectangular one we have now. This will better accommodate our business meeting renter clients, and serve as additional surface space for our pop-up shop artists and vendors. Need a place to meet? Show a presentation? Dip your toe into retail? A Little Beacon Space is for you! This is just one additional way a local media production like ourselves brings in revenue to keep publishing, so thank you for working with us! Today our office, A Little Beacon Space, turns into the headquarters for a company who is renting it for a 2-day business workshop/retreat. With a bar in the corner and a glass desk behind this, it’s a perfect setup for a coffee and lunch spread while meeting in the middle with plenty of surfaces to brainstorm on. 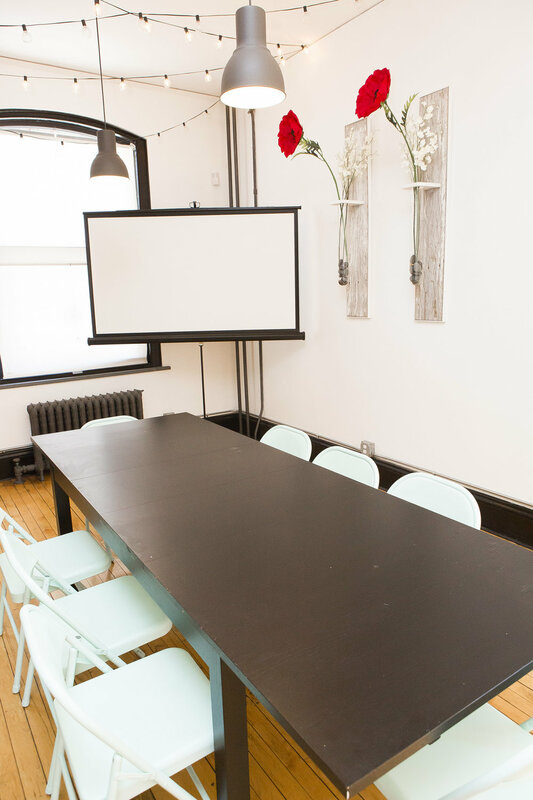 Don’t you want to book your meeting here? Next Saturday it is booked for a photo shoot. Visit www.alittlebeaconspace.com for pictures and pricing! Private rentals are another way we as a local media source get creative to bring in revenue to bring you articles and in-person opportunities. 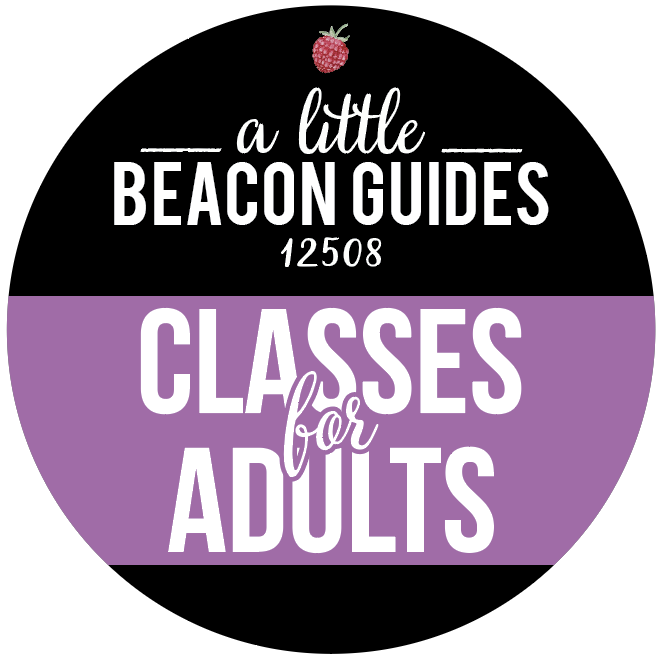 Tell your friends - book with A Little Beacon Space! An Artist's Way Creative Cluster group is being held at A Little Beacon Space on Sundays for the 12-week journey that Julia Cameron writes about and teaches via her classic book. This meeting time and space will be a gentle group, where people who are reading the book and going through their journey can share their thoughts and connect with others. The group will serve as a connection point, with a goal of fostering creativity in all and nurturing community. It will be lightly led by Katie Hellmuth Martin, or another person in the group over the 12 weeks. Book in hand: You have gotten your copy of The Artist's Way out of storage, and into your hands. You could go to Binnacle Books and have them order you a copy if you need to. The book in this picture was purchased at the pop-up flea at Create Space. Pages: You have a new journal or stack of paper for which to write your Morning Pages. You can find journals at Play, Dreams in Plastic, and Echo, or maybe Raven Rose and Lauren and Riley. All right here on Main Street, Beacon. The journals in this picture were found at Play. 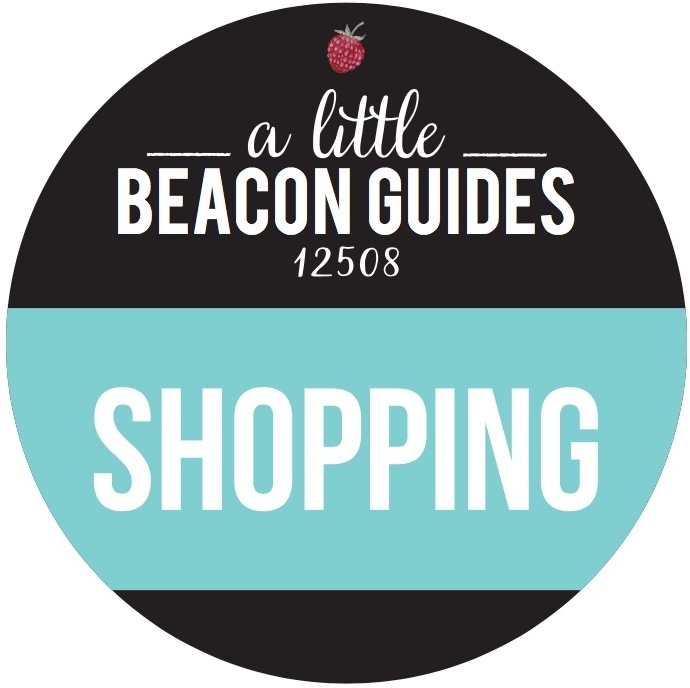 Check A Little Beacon Blog's Shopping Guide for other ideas. Julia: "I teach people to let themselves be creative." Person on the Street: "Oh. You mean we're all creative?" So don't be shy. Come on by. Life happens: The book walks us through a 12-week journey. This creative cluster will meet at 1:30 pm every Sunday from March 4 to May 20. If you can't come to every meeting, that's OK. If you just heard about this, or decided midway through that you want to come to a meeting, that's OK.
Not a professional workshop of The Artist's Way: You may have taken workshops based on this before. This is the first time we are doing it, so it's free-form and will follow the Tasks and Check-Ins offered in the book. And that's about all we know! 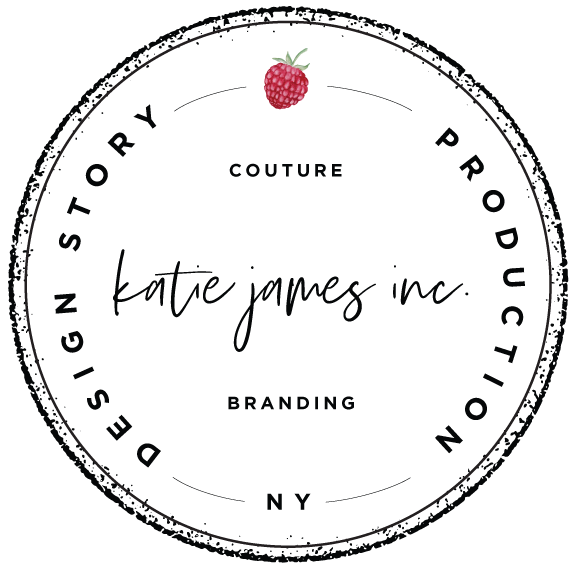 We're so happy to partner with edible Hudson Valley to be their Beacon meeting destination when their editorial team converges from all corners of the Hudson Valley. (It's like a group of superheroes coming together.) 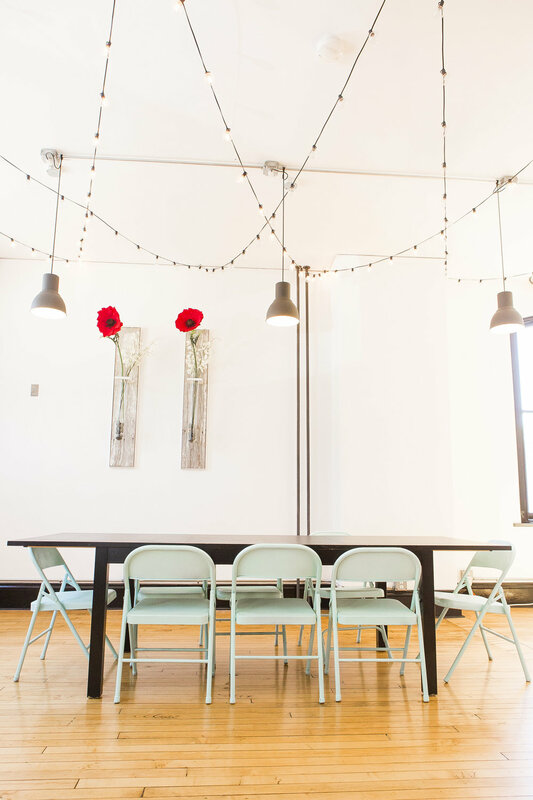 After one booking at A Little Beacon Space (you can rent our space! ), they wanted more. 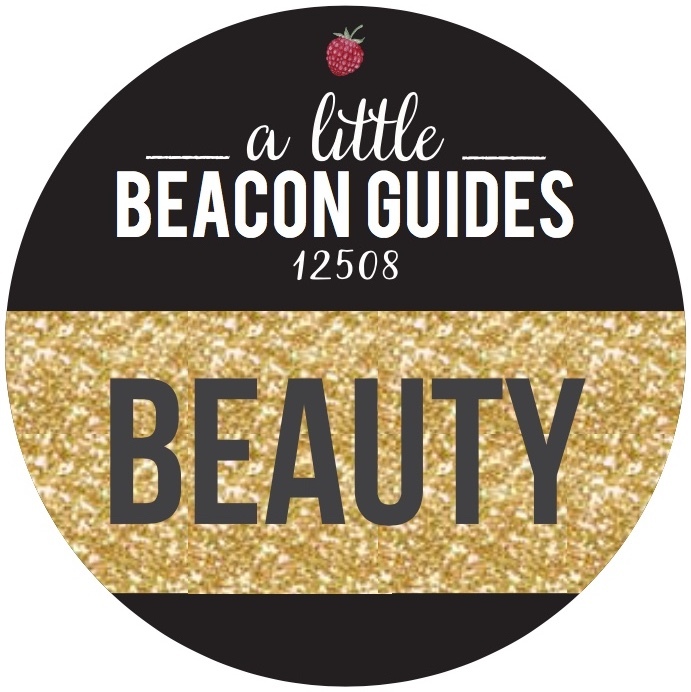 Paging through their issues, you will now see A Little Beacon Blog ads saying "Hi!" to you. High fives to media friendships! Especially in this day and age, media outlets can be friends with each other to get more of the good word out. We've had a magazine/business crush on the edible brand for a while, and we read several other city editions as well. The first one I picked up was edible Columbus, and edible Cleveland is pretty good, too! What is even neater is that edible Hudson Valley's new publisher, Jennifer Solow, is also the author of the book The Booster, published in 2006. This was exactly when I started my first blog just for fun, and she sent me a copy of the book with the nudge to "write a good review if you like it, and if you don't like it, eh, up to you what you do!" Full circles are great, and encourage us to keep up the work. Just when you were thinking of slipping into vinyl record withdrawal after the loss of Audioccult on Main Street, there's about to be a flurry of tunes and album covers for you to indulge in starting this weekend. The pop-up shop takeover by Sound Shack and their crew of collectors from all over the Hudson Valley will be closely followed by the highly anticipated opening of the permanent storefront replacing Audioccult, called Hudson Valley Vinyl. And then Record Store Day is April 22! This is like Christmas and Hanukkah combined for a month of even more reasons to go out record collecting. For three days only, Sound Shack Beacon is hosting a Vinyl Record Show Pop-Up Shop during Second Saturday in March. Over the weekend of March 10 through 12, 2017, A Little Beacon Space will feature seven record collectors hailing from Beacon to Peekskill to Fishkill to Brooklyn. Thousands of records, 45s, CDs, and more will be for sale! Ready to go crate diving? You will find records in Classic Rock, Psychedelic, Prog, Garage, British Invasion, Heavy Metal, Punk, and New Wave/'80s. And that's not all... There's also Electronic, Goth, Power Pop, Underground Garage, Jazz, Soul, Funk, R&B, and Hip Hop. But that's not all! Check out Reggae, Blues, Folk, Country, Southern Rock, Surf, Hot Rod, Lounge, Soundtracks, Sealed Records!!!! LPs priced from $1 to $300!!!! Turntables for sale, and we've heard a rumor that there may be posters. Sound Shack is also coming into some unusual CDs. 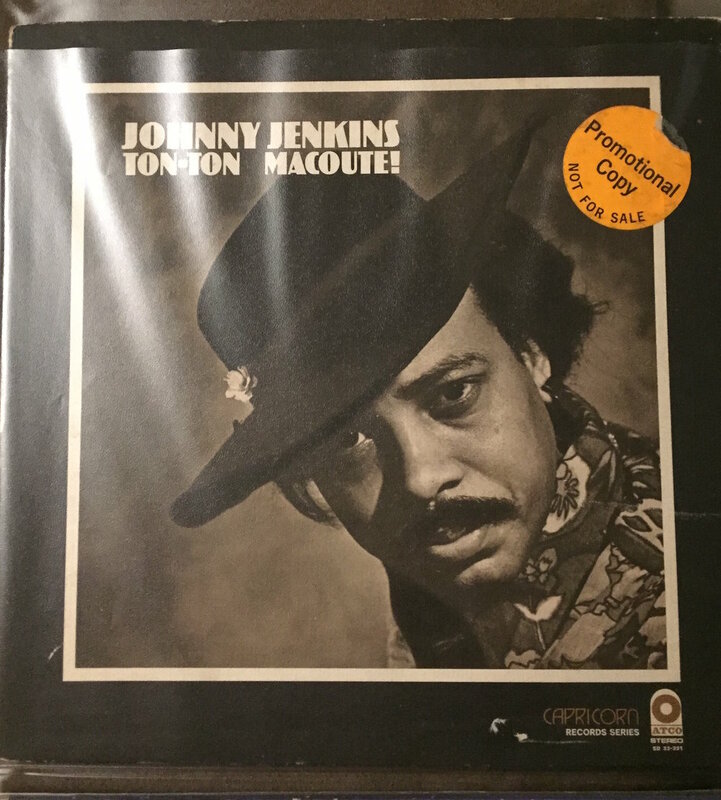 Big Jim’s Records from Buchanan/Peekskill: Big Jim has been in the music biz for 30 years. He has one of the best selections of rare and collectible music memorabilia in New York. Sound Shack Beacon Is located just across the river at the Newburgh Vintage Emporium, selling vintage vinyl and other music-related items such as books, pictures, and more. Pictured here are Sound Shack's boxes of records, getting ready for the big move-in to set up shop in A Little Beacon Space. Vinyl Pit from Fishkill is set up every weekend at the Dutchess Marketplace in Fishkill with a wide selection of records including Rock, Blues, Jazz, Classical, Disco, R&B, and much more. Vinyl Savage Co. from Fishkill is a private collector that has 2,000 to 3,000 LPs and 45s for sale! Contact them with your want list and they will be happy to help find what you are looking for. Also included are Get Awesome Records coming up from Brooklyn, Rama Records from Beacon, and Record Hunter from Stormville. Admission is FREE! You can start shopping as early as Friday, March 10 from 3-8pm, continuing Saturday, March 11 from 10am-8pm, and Sunday, March 12 from 11am-5pm. 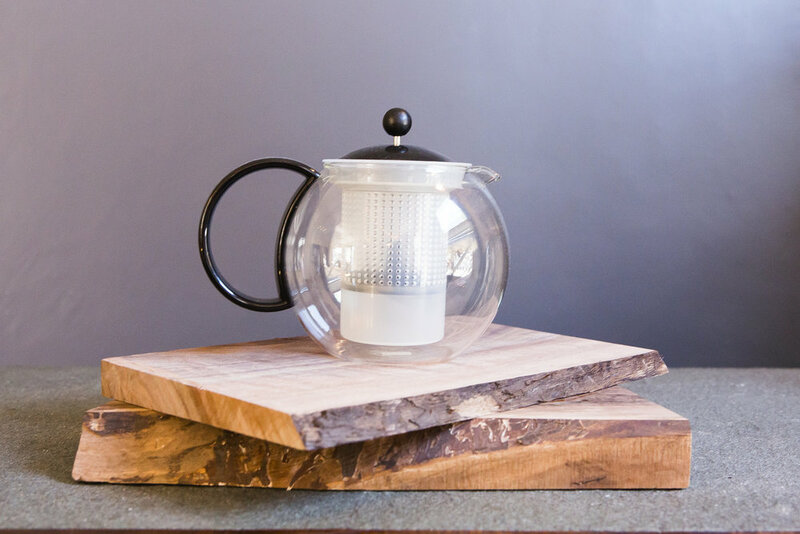 To host your pop-up experience at A Little Beacon Space, see here for more details. 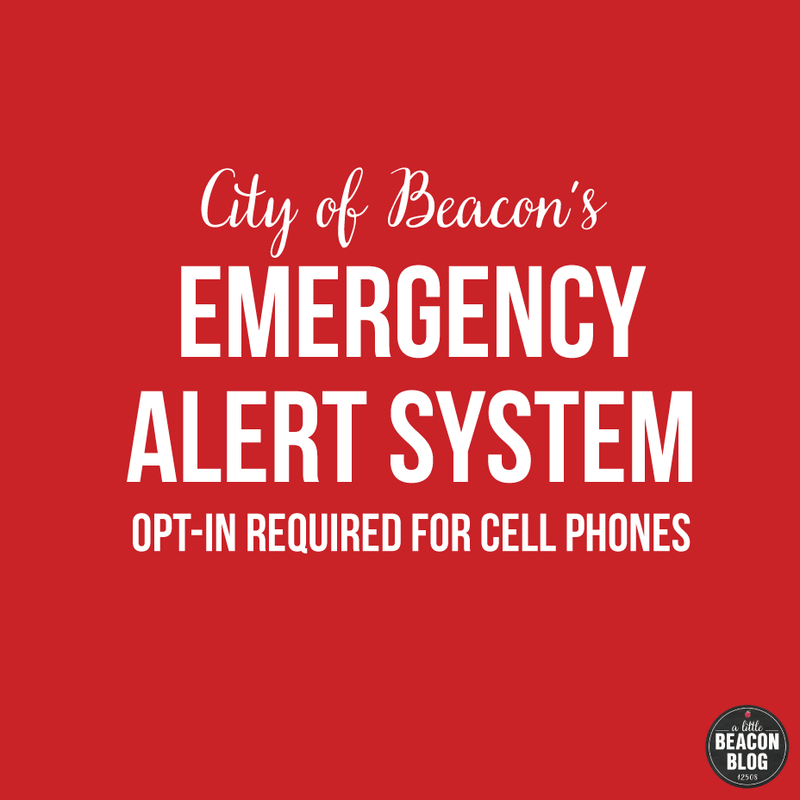 A Little Beacon Space Is Open! Oh my gosh, y'all! I'm not even Southern, but I lived there for a bit and I know what that phrase means when spoken by someone very excited: A Little Beacon Space is open. What is A Little Beacon Space? It's the office headquarters of A Little Beacon Blog and Tin Shingle, but I couldn't just have an office and an overhead because what fun is that? It's an interactive extension of A Little Beacon Blog that can bring in the community for special events planned by us, or planned by you! This office is in the heart of Beacon's Main Street, one of the areas of Main Street that is currently defining itself, at 291 Main St. in The Telephone Building. With such a vibrant city, I wanted to be part of Main Street, one of the shop owners, feeling the pulse of the city. Having a space like this at 291 Main Street was never on my radar as a goal. Yes, I did and do have secret Plan B-type dreams of opening an ice cream parlor, or buying a nail salon and making it awesome. Interestingly, each of my marketing plans for those Plan B dreams involved hosting special events in those spaces to help bring people in. 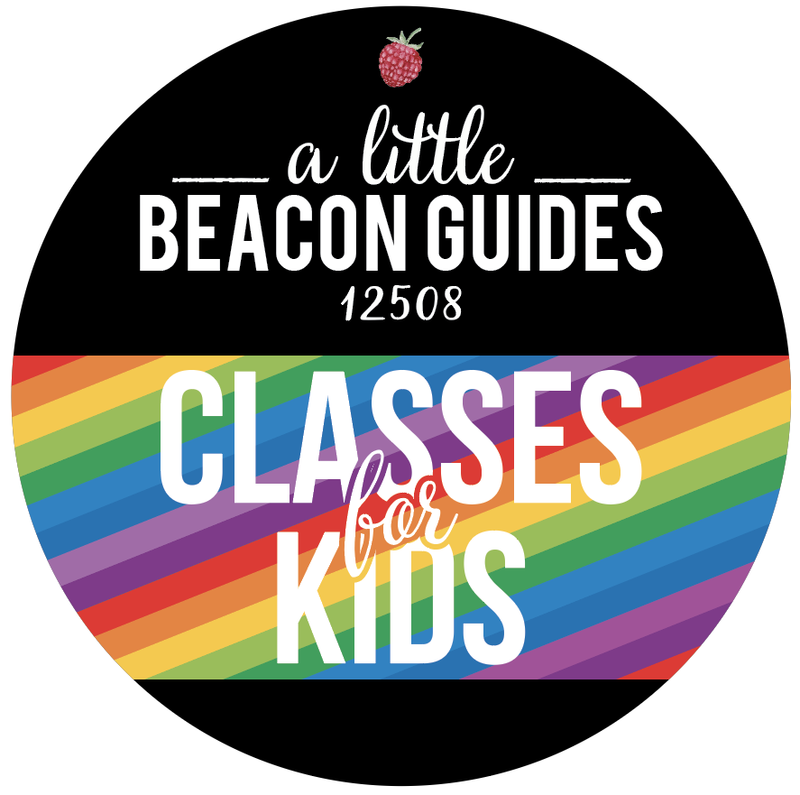 With a little help from many friends, team members and supporters, A Little Beacon Space is open inside of A Little Beacon Blog's Main Street headquarters. I'm so excited to share this wonderful Telephone Building with so many other people producing unique things with their unique skill sets. The excitement is contagious: Here's a picture of the folks at Home Depot, taking it upon themselves to build me a sandwich board after they heard how I wanted to construct it (meaning, my version would have flown away in the wind). Different people and groups can rent this space for a workshop, event, pop-up, photo shoot, and many other things I haven't mentioned here but would love to hear from you about. Many thanks to photographer Jackie Foley, who took professional pictures of different aspects of the space. She was our first customer when she booked the space for the day to conduct a portrait session. We had the great fortune of being featured in the Highlands Current earlier when the local networking group, HV Women in Business, hosted a meetup. Sometimes, we make up our own events and host them in the space. You can always find the schedule of all events here. This weekend includes two of them! Spooky Parent/Child Yoga, and Kitchen Cuts, which was included in the Calendar at the Highlands Current! P.S. : Huge congratulations to The Incline Railway for their award. Come to parent/child yoga with us this Saturday from 9:30 am to 10:15 am. Only seven spots left! Then stop in and say "hi" during the Kids' Hocus Pocus Parade, where we'll be giving little kids $16 haircuts and $1 face painting. Proceeds from the face painting go to the Beacon elementary schools, where we are working on a donation to the teachers for all of the art supplies they buy for our kids for day-to-day projects. And then on Tuesday, pop in to do a quick 30-minute workout with us. Don't worry - you can come dressed for the day and get right back into your work clothes from your work-out clothes. Led by professional athlete Jane Savage of Savage Health, the idea is to get your blood flowing to inspire great ideas during your day. Then in November, join us if you want to get your finances in order: Galia Gichon, one of my favorite people in finance who works with creative types, gives an interactive seminar on Personal Finance Planning for Creatives, Entrepreneurs & Artists. If you have some plans, no plans, or want a checkup, this seminar will make getting your house in order easier and more attainable. Thank you so much for you support thus far. Only in Beacon could this business have been crafted this way. It's an inspiring city to grow a business in. See you soon! Yes, The Kids' Halloween Parade Really Is This Sunday! The questions are flying around Facebook groups and my inbox: "Is the Kids' Parade really this Sunday?" Yes... as is maybe your school Halloween party this week, unless it's on the day of Halloween, or who knows! October turned super-busy last year, and this year has proven no different. Just take a look at how the 2015 Kids' Halloween Hocus Pocus Parade turned out! Two parades pass through this weekend: The Dark Parade, which is a glow-in-the-dark event for adults on Saturday night, and the Kids' Hocus Pocus Parade on Sunday afternoon. We dusted off last year's Pumpkins and Parades Guide that contains information on where to find parades, pumpkin carving events, and pumpkin patches and markets. This year, we added a "Watch For It" section to highlight special offerings from stores. Don't let the warm weather fool you - Halloween is coming, and you may need two costumes for all of the display opportunities. By the time trick-or-treating comes around, that well-planned costume may have a few worn patches. Take a look at our coverage of last year's Kids Halloween Parade to get a sense for the day. PS: The location of this photo is Lawrence Farms, which is in this guide as a beautiful location of pumpkin picking. For the past two years (that I know of), Dance Bag has had a $10 rack out on their sidewalk for an impressive selection of poofy dresses and other stage-worthy costumes, but they say they won't this year. If making your own costume is not an option right now, really impressive and affordable costumes have been known to be at TJ Maxx and at Cracker Barrel. By now, Cracker Barrel may have their costumes on clearance. So that's a bonus! two Halloween Events at A Little Beacon Space! We're about to send an official announcement about it (but all of these parade dates bumped our own article), but A Little Beacon Space is open! We're hosting two pop-up events this weekend: Parent/Child Yoga on Saturday with a Halloween theme (only seevn spots left! ), and Kitchen Cuts for kids' haircuts and face painting on Sunday. Hope to see you! Only seven spots left, so get your ticket! Walk-ins welcome! If you book online in advance of the day, you get a discount.